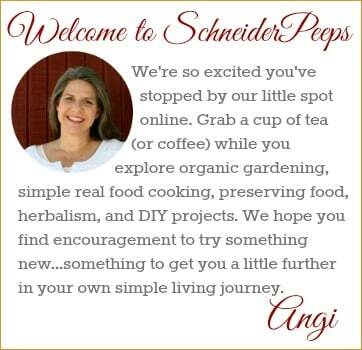 Home » What’s Up With the Bees? What’s Up With the Bees? The bees are doing so much better this year than they did last year. I’m chalking it up to cooler weather and some rain. 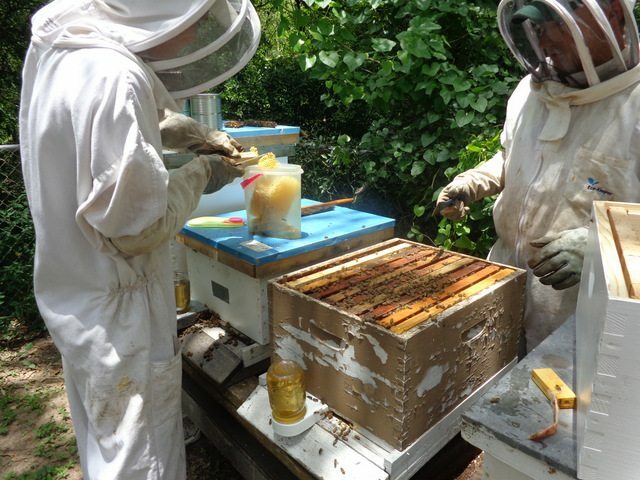 Also, Gabriel was able to buy several packages of bees this spring and they are happy campers, yes they are. 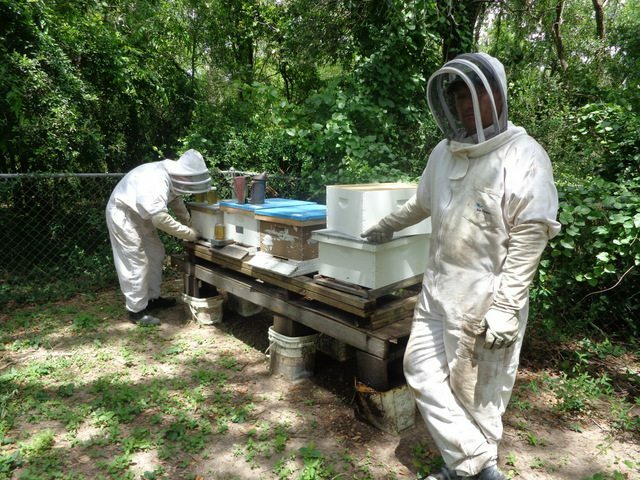 When I came home from town on Saturday, I found Carl and Gabriel suited up and in the bee yard. I grabbed my camera and started taking pictures to share with you. This is definitely Gabriel’s business and he’s not shy to tell me or Carl what to do or not to do. It’s a good thing. 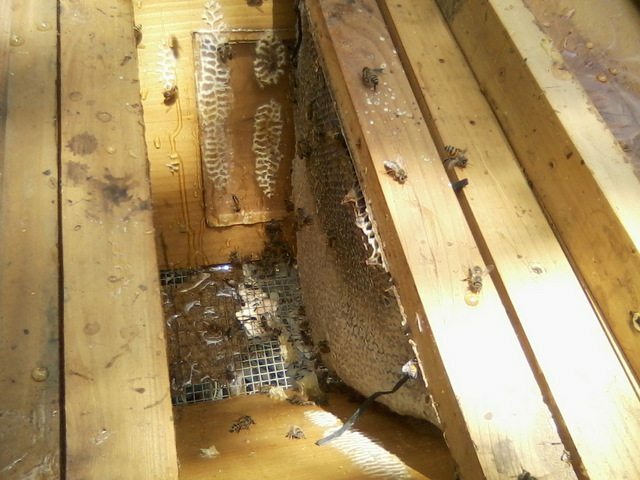 The packaged bees were needing a new deep so the guys fixed them up. 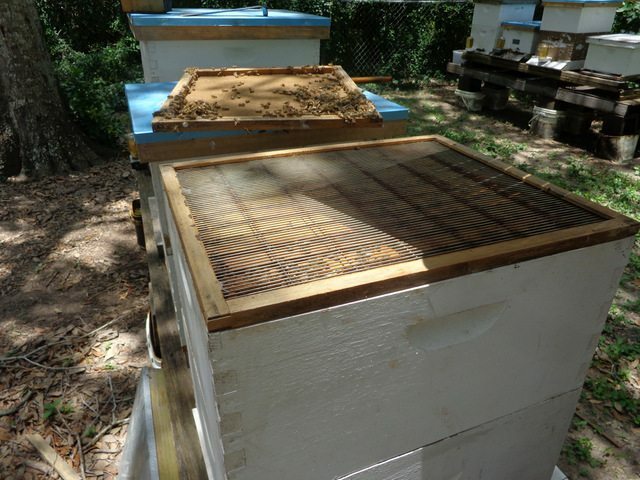 One hive needed a super – which means we’ll hopefully get a harvest this year. Gabriel is extremely conservative when it comes to harvesting. The bees needs come first. That makes me proud. 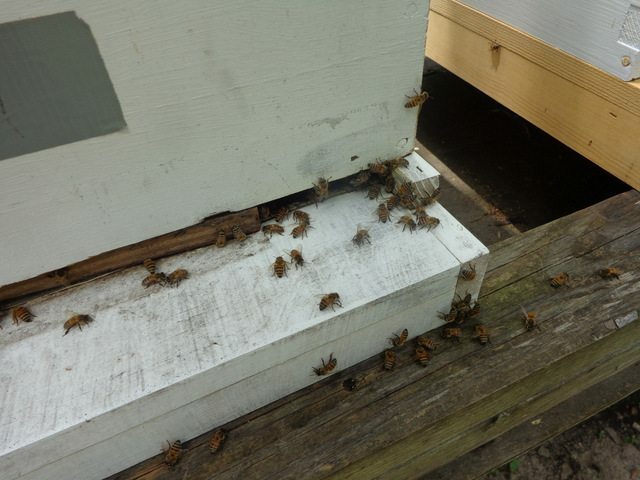 The girls in the topbar hive have been busy. 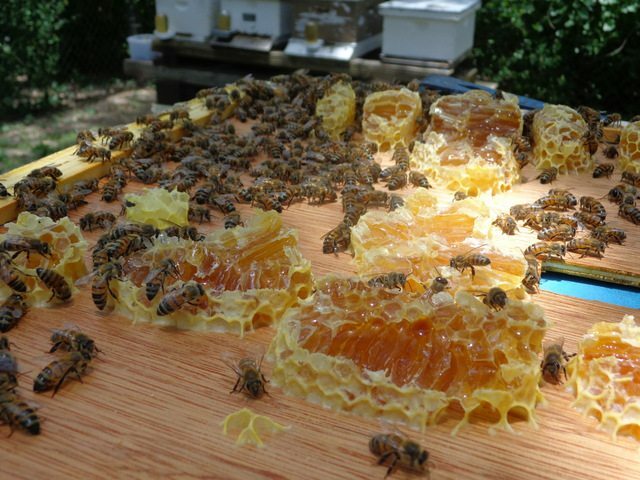 We were surprised to find out that they were out of room and we would need to harvest some honey. And let me just say that it was tasty! 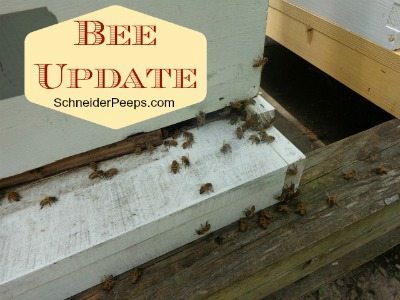 Hope you enjoy the little bee update. I only got 3 bee stings trying to get the pictures. I didn’t have a suit on since I’ve never been stung. I don’t think I’ll make that mistake again. After the first sting which happened to be on my forehead, I ran to the garden, picked a few sage leaves, chewed one up and stuck it to the sting. I had already gotten the stinger out. The sting was gone within moments and it didn’t swell at all. I’m a huge sage lover these days. The top bar looks fantastic! I was not able to get the bees to stay in mine. 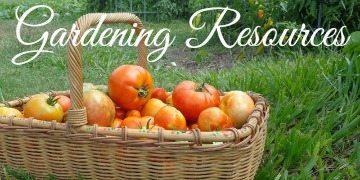 I will be harvesting this weekend or next. They girls are doing fantastic this summer!! How fun! 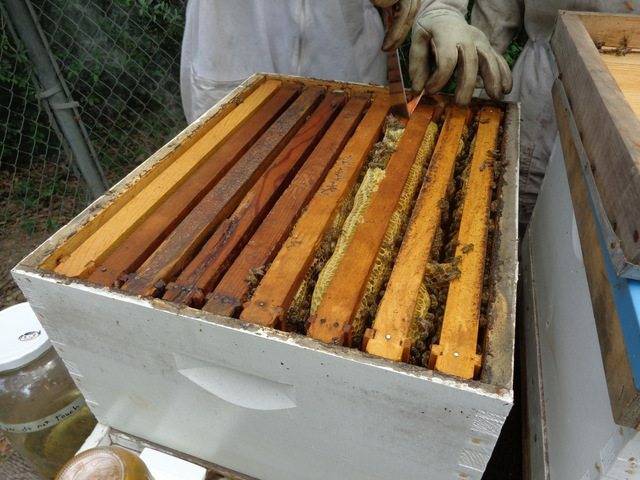 One thing Gabriel did to encourage the bees to stay in the topbar hive was he gave them some comb to start with. 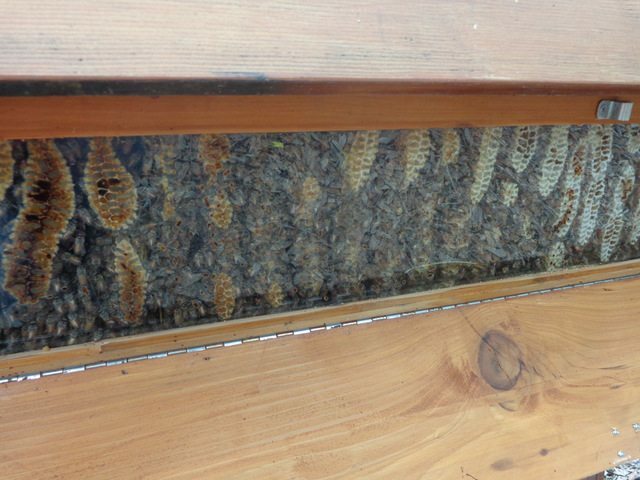 He does bee removals and this hive is from one of the removals. He took some of their comb and rubberbanded it to the bar. That’s why some of it is darker than other part. I really think this has helped. 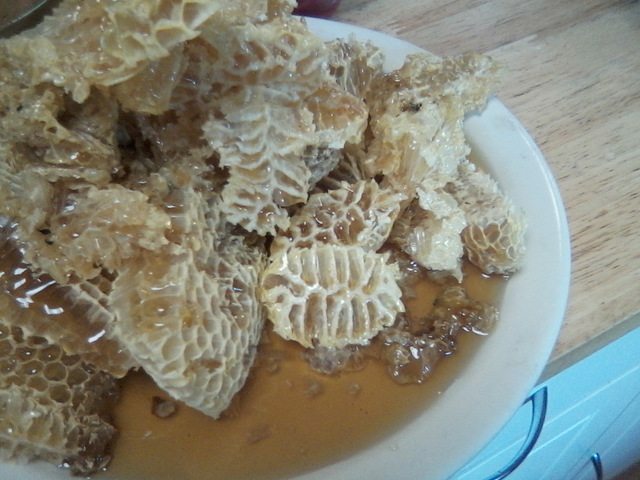 Thye are one of our strongest hives. Great pics. Thanks for sharing! I love having plantain and comfrey around, for any stings or bites. I never heard of using Sage before. Will have to try it out next time. Bees are so fascinating to me! 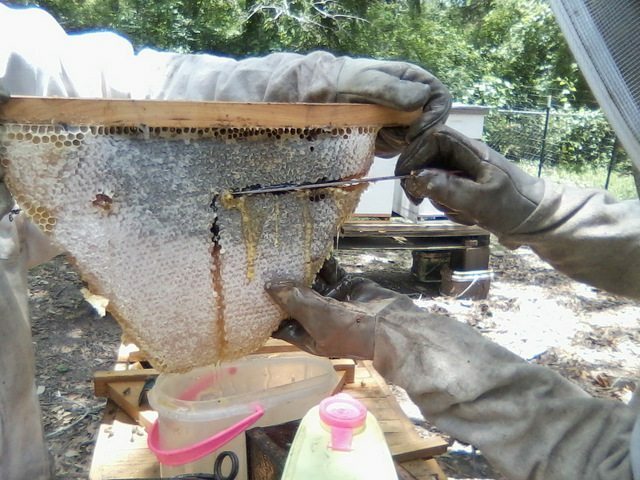 How cool that you are able to harvest your own honey. I hope to follow in your footsteps someday. Enjoy! I love the bees. I have been so sad about bees lately. Seems there are none. We have a lone bumble bee in our garden. I blame pesticides and GMO crops. 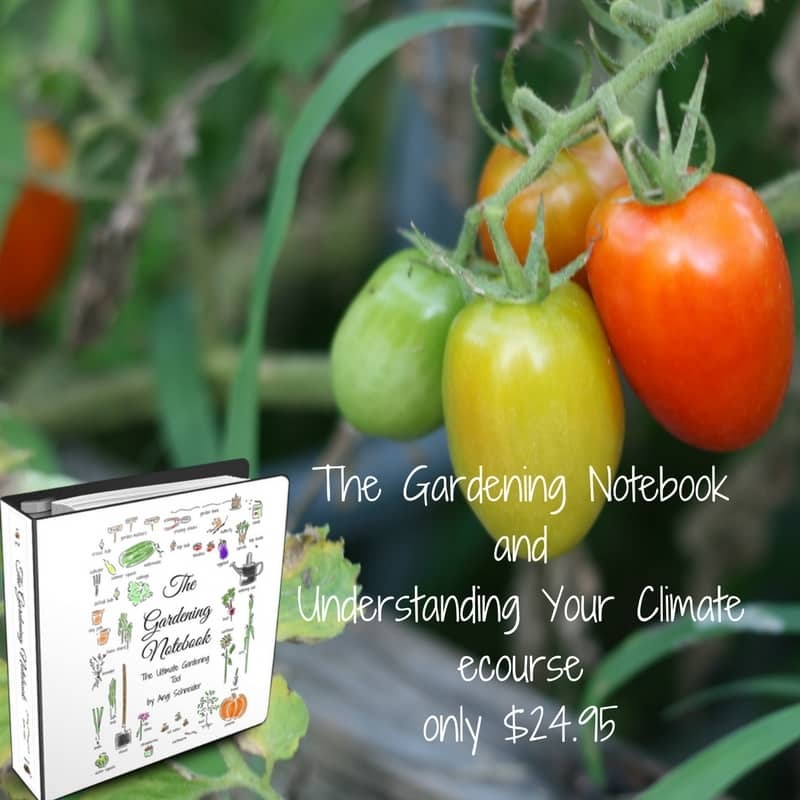 People just don’t realize pesticides help with bad bugs with the cost of beneficial insects. We have considered bees, but I have to say I am lost when it comes to understanding them. You are right, people just don’t understand how much we need those pollinators. I think you guys would love having bees. 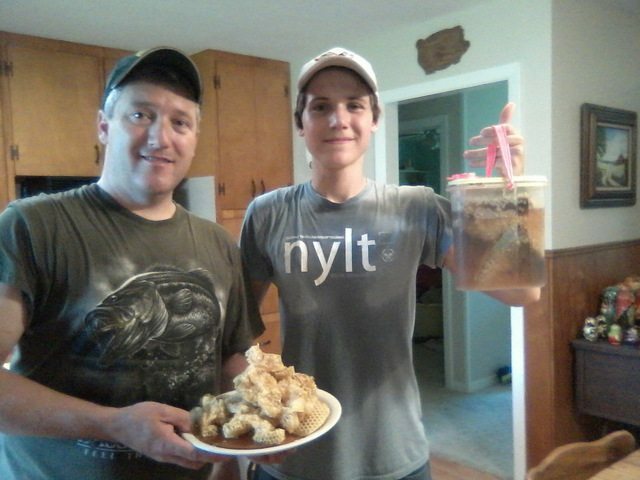 We are just learning as we’re going, however, it certainly helps to have a teenag son who loves them and is the official beekeeper. 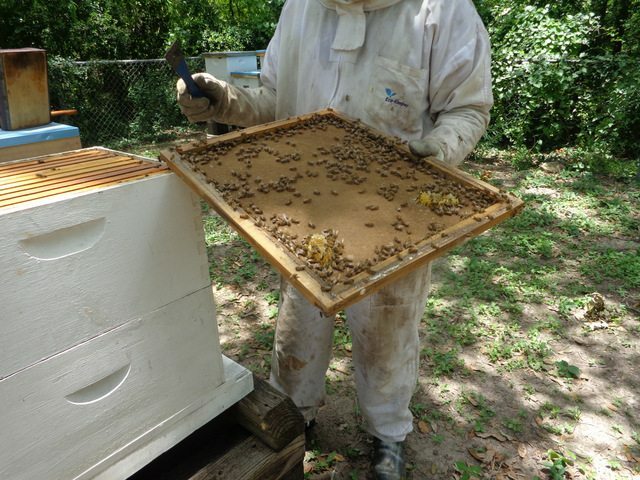 He suggests Beekeeping for Dummies as a starting place.